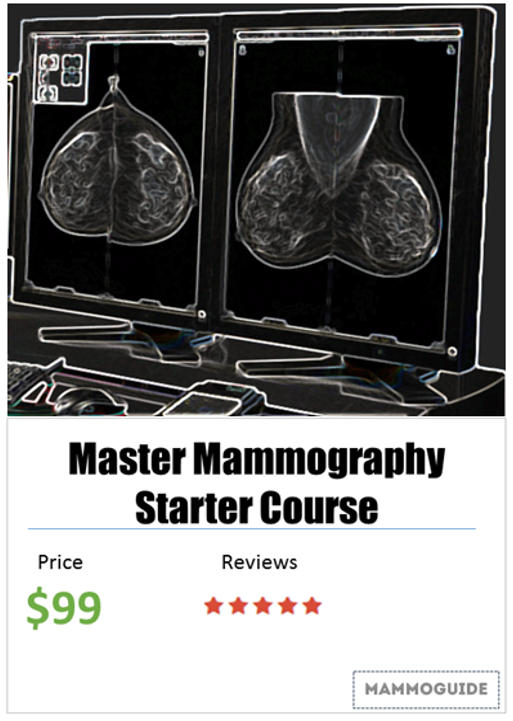 The most basic skill in breast imaging is reading a mammogram. It seems like it should be easy. Fairly straightforward - there is not a lot of complexity to the anatomy of the breast. Yet interpreting a mammogram is one of the most challenging tasks in all of radiology. Conversely, breast MRI's are often thought of as complicated - multiple sequences and a requirement for additional software just to view the images. How do you as a radiologist effectively analyze these or any other radiology exams. Well, there are two main methods of interpreting an imaging exam. A) Gestalt Method - You look over the image(s) and make the diagnosis. ex. Glance at a chest x-ray, recognize the findings and say "CHF"
B) Systematic Approach - You look at the image(s) the same way every time, ensuring that you cover every important aspect. Both of these methods have their merits, but in general using a systematic approach is optimal to ensure you don't miss anything (particularly when you are just starting out). A systematic approach is oftentimes one of the main things that distinguishes a radiologist from a surgeon, ED doc or any other provider. Everyone may be able to tell that the chest x-ray shows Congestive Heart Failure (CHF), but only those using a systematic approach to analyzing the study will notice the small pneumothorax or pulmonary nodule that is also hiding on the film. In the guides available from MammoGuide, we will show you how to develop a systematic approach to interpreting mammograms, performing breast ultrasound and reading breast MRI's.